Don't miss the 19th Annual International Symposium for Therapeutic Ultrasound on June 13-15, 2019! 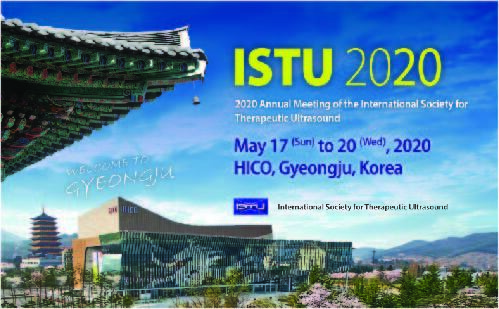 The International Society for Therapeutic Ultrasound (ISTU) is a non-profit organization founded in 2001 to increase and diffuse knowledge of therapeutic ultrasound to the scientific and medical community, and to facilitate the translation of therapeutic ultrasound techniques into the clinical area for the benefit of patients worldwide. The Scientific Committee is currently reviewing the late-breaking poster only abstracts that were submitted by the deadline of April 15, 2019. Notification of acceptance or rejection will be made by early-May. Save the dates now for the 20th Annual International Symposium for Therapeutic Ultrasound!